The Barclaycard Arrival Plus World MasterCard has a handful of useful travel features which makes it among my favorite travel rewards credit cards. 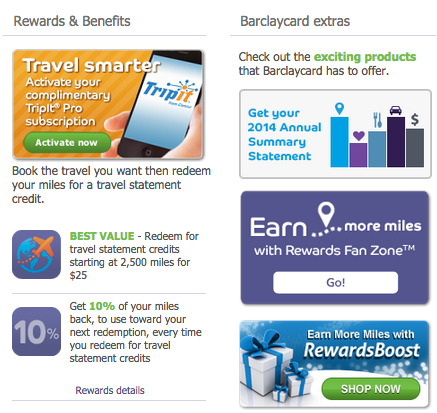 In the past Barclays has pushed customer interaction with numerous targeted card usage promos and the Barclaycard Travel Community—which is also a great way to earn Arrival miles. 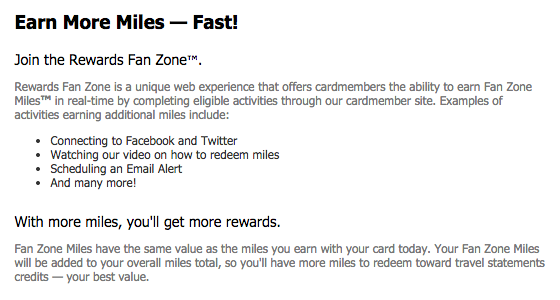 There’s now another way to easily earn free extra Arrival miles with Barclays new Rewards Fan Zone. Just click here and you can start earning miles through easy activities that only take a few seconds to complete. It appears that there will be new activities released every week, but to start you can earn an easy 300-500 Arrival+ miles and it only takes a minute or so. You will earn the Arrival miles in 1-2 business days and they will be automatically deposited into you account. 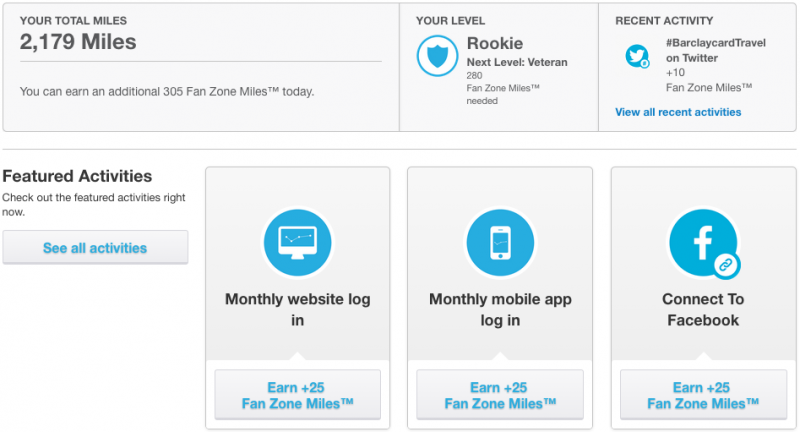 Plus, you can always disconnect your social media accounts from Rewards Fan Zone anytime in the future. In either case, if you have the Barclaycard Arrival Plus Card this is an easy way to earn some extra (up to 500+) Arrival miles. Was your Arrival+ card targeted for Barclaycards Rewards Fan Zone? How many miles did you earn?